Few experiences stir the emotions and throw a person into crisis as illness does. If affects not only the body but also the spirit and soul. Illness is about life and death, fear and hope, love and conflict, spirit and body. And yet, the healthcare system is not structured around these considerations--our doctors and other medical professionals are not trained to deal with the whole person. 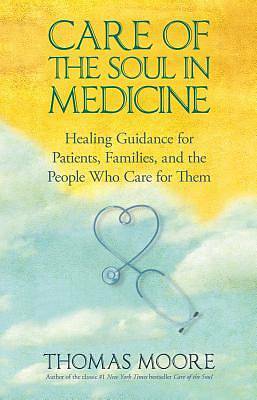 Care of the Soul In Medicine is Moore's manifesto about the future of healthcare. In this new vision of care, Moore speaks to the importance of healing a person rather than simply treating a body. He gives advice to both healthcare providers and patients for maintaining dignity and humanity. He provides spiritual guidance for dealing with feelings of mortality and threat, encouraging patients to not only take an active part in healing but also to view illness as a positive passage to new awareness. While we don't fully understand the extent to which healing depends on attitude; it has been shown that healing needs to focus on more than the body. The future of medicine is not only in new technical developments and research discoveries; it is also in appreciating the state of soul and spirit in illness.